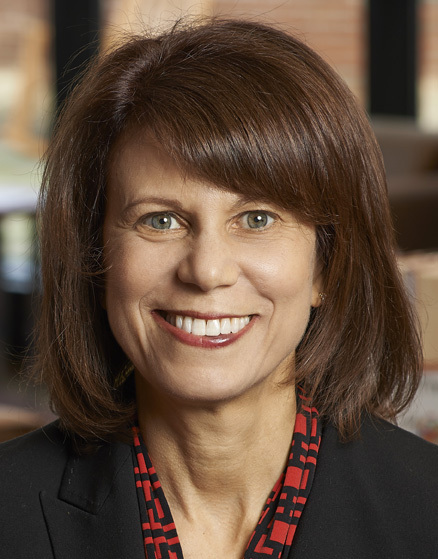 CHICAGO — Sari Feldman, executive director of the Cuyahoga County Public Library, Parma, Ohio, has been elected president of the American Library Association for the 2015-16 term. Feldman received 5,184 votes, while her opponent, Maggie Farrell, dean of libraries at the University of Wyoming, Laramie, received 4,185 votes. As ALA president, Feldman will be the chief elected officer for the oldest and largest library association in the world. She will serve as president-elect for one year before stepping into her role as president at the close of the 2015 ALA Annual Conference in San Francisco. Upon learning the outcome of the election, Feldman commented, "I am deeply honored to be given the opportunity to serve libraries and library professionals as president of the American Library Association. I look forward to continuing the leadership commitment of current president Barbara Stripling and president-elect Courtney Young to support advocacy for all libraries by strengthening our ability to speak with a unified voice. Throughout my campaign I challenged our association to Engage, Innovate and Inspire - and I sincerely appreciate the support for that call to action." An ALA member since 1990, Feldman’s activities include serving as president of the Public Library Association (PLA) (2009-10), chair of the ALA Office for Literacy/Outreach Services Advisory Committee (2000-2003) and co-chair of the ALA Digital Content and Libraries Working Group (2011-present). She previously chaired the Urban Libraries Council Urban Youth Strategy Group (2005-2006) and served on the PLA Every Child Ready to Read Task Force (2007-2008) and PLA Task Force on Pre-School Literacy (2001-2005). Feldman currently serves as board president of Cuyahoga Arts and Culture, a political subdivision of the State of Ohio and one of the largest local public funders of arts and culture in the nation. She is also a founding member and current trustee on the board of OneCommunity, a non-profit organization dedicated to expanding high-speed broadband access to drive innovation and economic growth across Northeast Ohio. Feldman is the 2013 recipient of the PLA Charlie Robinson Award, established to recognize innovative public library directors. Her previous honors include the Crain’s Cleveland Business Woman of Note award (2011), the USA Toy Library Association Player of the Year (2008), the Syracuse University Vice President’s Award for Teacher of the Year (1995) and the ALA Loleta D. Fyan grant (1994). Her co-authored publications include “Politics and Advocacy: The Role of Networking in Selling the Library to Your Community,” Public Library Quarterly, 2007; “The Dream of One Cleveland,” Library Journal, 2005; and "Learning Environments for Young Children: Rethinking Library Spaces and Services," 1998. She received an MA in Library Science from the University of Wisconsin – Madison and a BA in English from State University of New York in Binghamton. For more election results, including those for Council, divisions, and round tables, watch for updates at http://www.ala.org/aboutala/governance/alaelection.